· COPROCESSOR - Included in Pentiumâ processor. · SPEED - 60 / 66 MHz system speed. - 30 / 33 PCI-Bus speed. - 7.5 / 8 MHz AT bus speed. 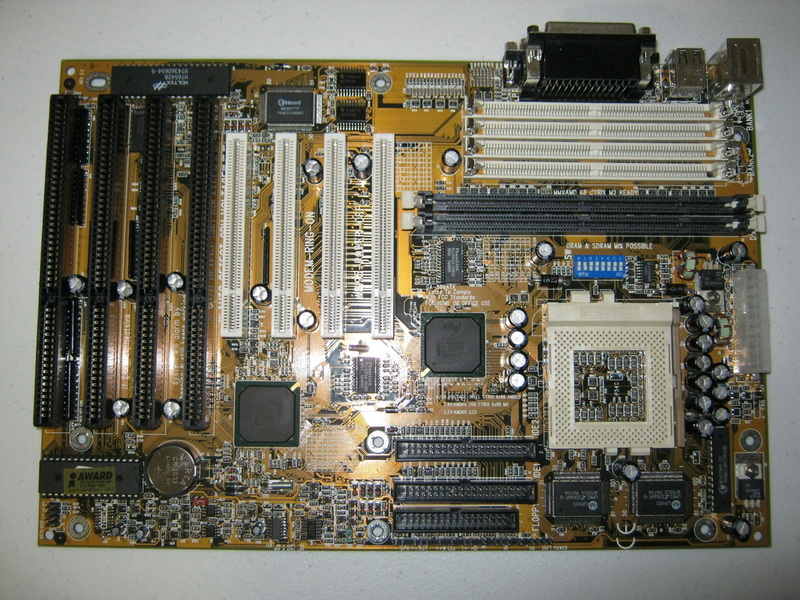 · DRAM MEMORY - 4 banks 72 pins SIMM module socket on board. - 2 banks 168 pins DIMM module socket on board. · CACHE MEMORY - 16 / 24 / 32 / 64KB L1cache included in CPU. - 512 KB 2nd cache on board. · I/O BUS SLOTS - 4 Master / Slave PCI-BUS Slots. - 4 16 bits ISA BUS Slots. - Supports Mode 3,4 IDE & ATAPI CD - ROM. · GREEN FUNCTION - Standby & Suspend mode support. - Green switch & LED support. - IDE & Display power down support. - Monitor all IRQ / DMA / Display / I/O events. · BIOS - 128KB FLASH EEPROM. - Supports Plug & Play Function. · DIMENSION - ATX Form Factor, 4 layers PCB.